There’s a new plant making its way into the list of ingredients that are a must-have inclusion to your anti-ageing routine – Centella Asiatica. Known as centella, its extracts are proven to stimulate elastin and collagen to keep the skin firm and healthy, this superior and proven anti-ageing ingredient has been applauded across the globe. Schmelzkopf Cosmetics offers a wide range of professional consulting services to clinics and treatment centers interested in offering the unique and groundbreaking treatments which will drive businesses to success. Lisa, and our professional development team works to ensure highly personalized and intensive training sessions to professionals utilizing our products to explain not only our products but the natural difference that is offered through Schmelzkopf Cosmetics. Clinics utilizing our products undergo a thorough and complete educational process which provides them the tools to work hand-in-hand with guests to produce results which speak for themselves. Educational Tools include complimentary full-day training workshops, in-house educational opportunities and promotional events which allow businesses to learn how to increase sales and yield optimal results. Businesses working with Lisa and other industry insiders on the Schmelzkopf team will learn how to drive sales, up-sell treatments and products, achieve guest satisfaction and realize the true potential inside each clinical location. Join the Medical Organic revolution, Provide your business with a true point of difference and offer each guest genuine, proven results. Please fill in the details and one of our Business Development Managers will arrange a 30 min appointment to see where we can help you. Centella’ s active ingredient, Centella Asiatica is medically tested and proven in the treatment of wound healing, venus insufficiency and reduction of scarring, helping to unclogged pores, anti-bacterial and acne-affected skin. The formula promotes healing and stimulates collagen production. Ingredients include the softening and firming Centella Asiatica extract, which helps to improve circulation and stimulating the lymphatic system. Centella increases development of new blood cells and blood veins, increasing blood flow to the area. 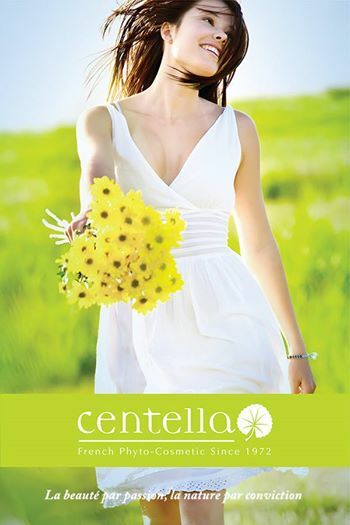 Centella repairs, heals and increases collagen synthesis. Combination to oily skin types experience an excessive secretion of sebum. However, sebum increases when the epidermis feels ‘attacked’, as sebum serves as natural defence. Therefore, it is vital to use the appropriate skin care for skin type so the skin can find the correct balance. Stem cells are cells from which life is born. They are a part of all living things; plants, animals and humans, although plant stem cells present the greatest benefits. When it comes to skin rejuvenation, plant stem cells possess versatile and restorative properties; one single cell is enough to regenerate an entire plant. These properties are what make stem cells so valuable and widely used in many fields, including in the cosmetic and beauty industries for tissue repair and skin rejuvenation. Stem cells have the capacity to periodically repair tissue when dead cells stop working, thus regenerating damaged tissue and restoring human skin to a more youthful state.